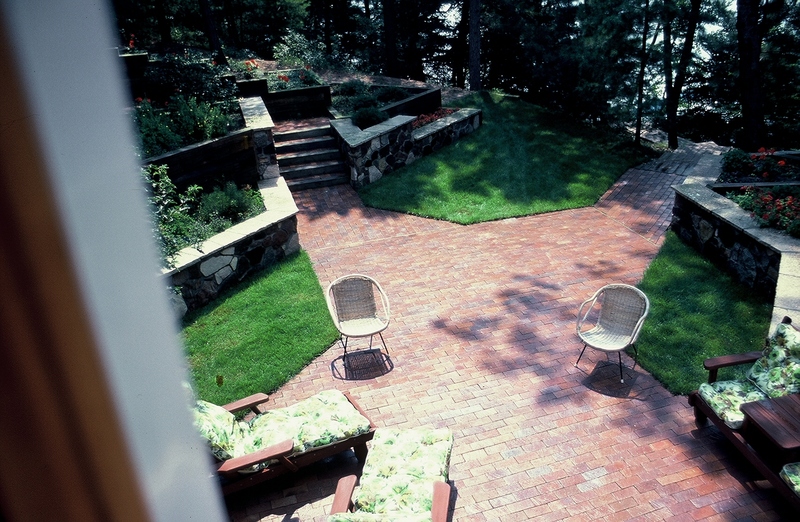 Landscaping is a unique art that combines a sense of aesthetics and creativity to form visually pleasing scenery. One of the most important pr-requisites of a landscaper is creativity; without creativity there would be no originality to the designs. A creative person can set about with designing a garden following some simple rules. You must keep in mind some important principles before beginning with the task at hand. wish to make a few minor changes to please your creative whimsies. that some or all the elements of the garden blend in together to make one whole. ornaments related to butterflies. Unity should be effectively articulated through at the very least one element in your landscape and preferably many more. Unity symbolizes harmony and if your design radiates a feeling of harmony, it will create a sense of peace and tranquility. and elegance in any design. create just a hint of unity. However, most elements of the garden are used randomly. through other elements like the color scheme or by proper garden decor. way to achieve such a startling contrast is by arranging the garden asymmetrically. Asymmetrical arrangement does not depend on the shape of your garden though it can be made to be dependent on the size of the garden. lined with huge shady trees while the other side has a low growing flower garden. harmony and unity. What is really important is that the intensity of contrast remains the same; it could either be soft contrast or bold contrast. Contrast and harmony can also be achieved using different varieties of plants as well. designed to resemble a lovely and colorful butterfly park. than it really is. Colors such as violets, blues and greens give the impression of moving away from you and make objects seem farther than they really are. a perfect solution for this. beds of such typical colors. arranging large trees next to medium trees which are followed by shrubs which in turn are followed by bedding plants. garden look smaller than it actually is. designing beautiful gardens. It can mostly be associated with the way beds, pathways, and entryways move and continue. This flow of design is essential in lending an ‘aesthetic feel’ to your garden. Straight lines are forceful and can be effectively used to represent some strong theme. Curvy lines have a flowing effect and can be used to design a garden that offers a sense of peace and tranquility. overlooked. Proportionate garden designs require elaborate thinking and planning. actually defined as right proportion. look pleasing to the eye.